While the concept of bacteria crawling over your face sounds scary or even creepy, it’s actually the best-case scenario in terms of skincare, as the skin apparently houses a special bacterial blend that’s crucial for its health. Despite experts previously seeing these tiny organisms as simple foes, they’re now discovering the sheer amount of good these microorganisms do, such as signaling cells to achieve crucial tasks or turning genes off and on. For instance, specific strains instruct cells to create the ceramides and fats needed for maintaining the human skin barrier. According to dermatologist Dr. Jeffrey Dover, this is crucial in keeping irritants out and moisture in. However, bad apples exist as well, with specific bacteria triggering inflammation while contributing to acne, psoriasis, and eczema. “No [one type of] bacteria is good in abundance; balance is key,” Dover said. If the strains are more varied, then the skin becomes healthier. To ensure your skin has a healthy balance of bacteria, here are a few methods for supporting your body’s microbiome. It’s best to avoid harsh hand sanitizer and antibacterial soap as well as never aggressively scrubbing the skin, as this can disrupt the very terrain where good bacteria thrive. Instead, try using moisturizers and cleansers with ceramides or niacinamide to bolster the skin barrier. Some experts would argue that our world has become far too clean. Because people tend to kill bacteria indiscriminately with cleansing products, they’re losing exposure to most of nature’s microscopic goods. Researchers from China have found that people who live within megacities have far less diversity in terms of skin microbiomes, and this could explain why residents of urban areas tend have more inflammation in the skin. If you utilize gentle products and your skin is fairly healthy, you likely don’t require an overhaul of your routine. However, for those with sensitive skin, acne, or dryness, microbiome-centric products may help. 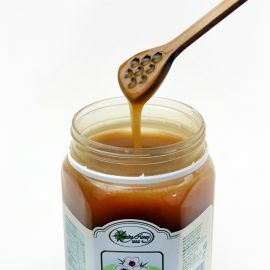 You might consider products containing Manuka honey or probiotics, with the latter being especially promising according to preliminary studies that show various probiotic bacteria strains improving the skin by boosting its hydration and calming inflammation. They can do this by changing the way gut microbiomes function and influence skin rather than by worming around from your GI tract up to your skin. If you wish to help your skin, focus on fiber-rich vegetables and fruits as well as foods with prebiotics and probiotics, such as bananas, yogurt, raw asparagus, and onions. Also, remember that stress can change the variety and number of bacteria in the gut, per a study published in Brain, Behavior, and Immunity. You can counteract with sleep and exercise, which studies indicate can help in balancing bacteria directly. Need to order some Manuka honey so you can enjoy its many benefits? To get your order started, click here. And, remember, we offer FREE shipping on all orders of $150 or more!